Compacting and landscaping equipment will provide you with the grunt required to perform earthworks properly. 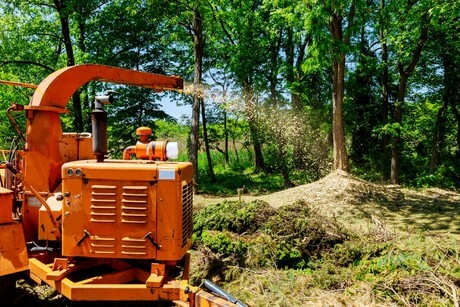 Every home and land owner wants to act in ways that have minimal environmental impact, and there is no denying that major earthworks can be an eyesore, although the right equipment is needed for stable landscaping and a cleaner environment in the long run. You will need to ensure there are no underground pipes or cables prior to digging. You should also factor in any landscaping slopes and angles for water run-off and drainage, or collection in a tank. If yours is a landscaping job with potential impacts on the house or foundations, you will probably require council permission before commencing any work. The bottom line for a cleaner environment is ‘do it once and do it right’. Whether you want to improve an acreage or hope to make the most out of a small residential plot, landscaping could be the ticket for setting your property apart from the rest. In times when house prices are stabilising, or even falling, it’s a good idea to investigate the lay of your land and the potential for outdoor improvements. Unimproved sloping properties, for example, are sure to increase in value with the addition of retaining walls, steps and other garden features. The clean environment we enjoy at ground level is often supported by services, utilities, connections and fixtures under the surface. Trenches need to be dug, pipes laid and drainage established for any household to function, and the equipment needed for creating a cleaner environment can be obtained from Australia’s leading machinery and equipment hire service, Coates Hire. Compacting can be done by anyone, especially if you have the right equipment on your side. If you are considering paving or bricklaying patterns on your drive or lawn, the importance of proper compaction can’t be overstated. All equipment needed for a cleaner environment is available at Coates Hire. The alternative is a potentially poorly executed job where materials are wasted and the results aren’t worth showing off. It’s amazing how much a person can get done with the assistance of strong machinery. Equipment available at Coates Hire offers broad options for delivering compacting and landscaping efficiency, durability, manoeuvrability and safety from start to finish. A safe worksite is the highest priority, and knowing what equipment is required for completing work on time and on budget for a cleaner environment is all part of the Coates Hire service. Quality landscaping such as retaining walls, fences, decking an steps should last for decades, while some building materials last hundreds of years. Compare this with most DIY jobs that only look good for a year or two before falling apart. There really is no substitute for a construction job done right first time, so speak to your helpful equipment hire service representative before you start your next project.